A morning job in Sherborn finished up early thus allowing me to explore Bogastow Brook from its junction with the Charles River near the Sherborn/Millis town line. I launched into the Charles River from Route 27 in Medfield and headed upriver to the point where Bogastow veers off to the right (opening photo). Water levels were nice and high and that kept many obstacles well below my boat's hull. Having brought along McAdow's guidebook The Charles River exploring nature and history on foot and by canoe helped to answer the question as to the meaning of Bogastow. On page 187: "A second contingent of pioneers came in 1658 and settled in the southern end of town at Bogastow (Boggestow, Bogistow), which is what the Indians called the Charles Valley from Sherborn south to Medway." The pond is natural and there are few signs of civilization. Once the inlet was located at the pond's south end I continued my ascent. Because the brook was over its banks finding the actual channel proved difficult in places. 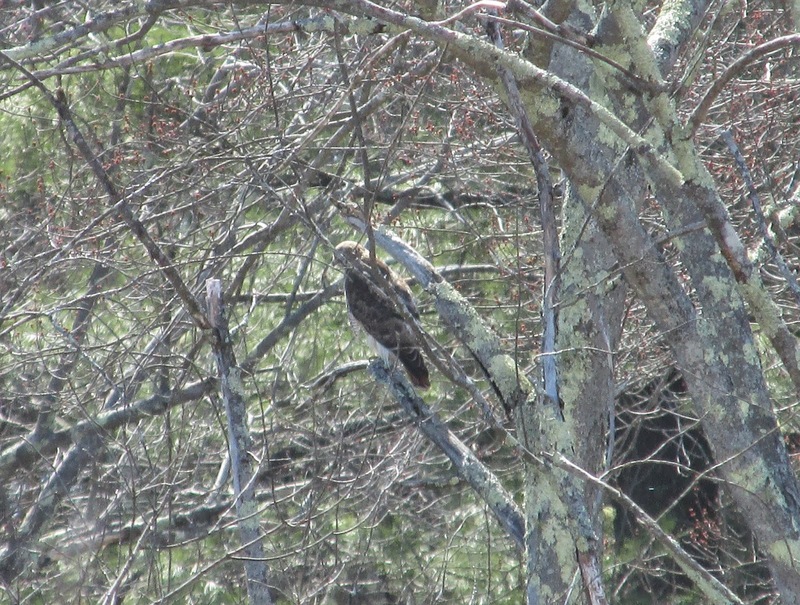 A marsh hawk and a red-tailed hawk were also seen in addition to numerous ducks. Turtles were also catching some rays. Oddly though not a peep from the spring peepers. The bridge portal pictured is one of several, each feeding a different channel of the brook. To proceed beyond this point would require a longer and more difficult postage, so this made an ideal spot for me to turnaround. I'd traveled about 3.6 miles from the Route 27 Charles River launch site. My trip downstream was with the wind at my back and a strong current to boot.